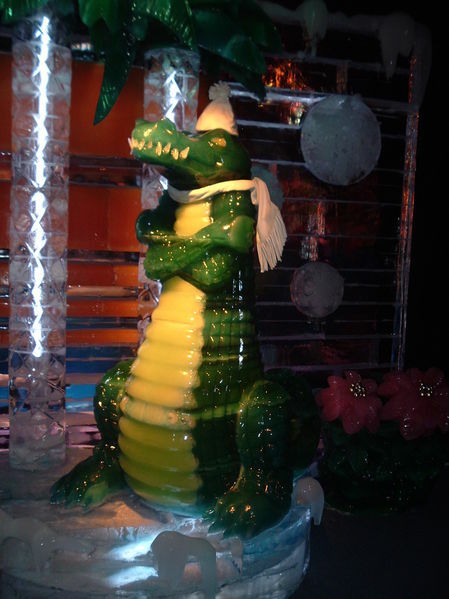 Welcome to Katfrog's Corner: Wordless Wednesday - Ice, Ice Gator! Wordless Wednesday - Ice, Ice Gator! Statue of an Gator, carved out of ice - Happy Birthday, Tony!! Wow! That's made out of ice?! So very cool!